What is “Cleaning Up” Title? Many have heard the phrase “cleaning up title”, but also many of us did not really understand what that phrase meant when we first heard or when we didn’t know a lot about title report issues. In short, cleaning up title primarily means the elimination of exceptions from a title policy. At the beginning of the title insurance process, the title company will generate a preliminary title report, sometimes referred to as a “prelim”. This prelim will give an initial view of what the title policy might look like, with all the “exceptions” that the title company will not insure. While the title company will have some boilerplate exclusions and exceptions from the policy, we are primarily talking about the recorded documents that are specific to the property. Examples of these recorded documents include financial liens, such as mortgages, deeds of trusts, judgments, and mechanics liens. Recorded easements provide for a non-owner to use the property in some manner. An easement could be for the placement of water or sewer lines, or it could also be for access across a property. Land use restrictions are also common, which could restrict the types and intensity of uses. 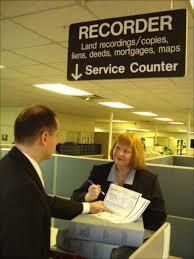 The number of exceptions on a title report can vary widely, from as few as three or four to well over 50 exceptions. And while the fewer exceptions can be deemed better, many exceptions can be insignificant while one exception could be critical to a development plan. As mentioned, cleaning up title refers to the efforts to eliminate these exceptions, particularly those that have a significant impact on development. In many cases, it is a matter of reading the recorded document and determining if some facts or logic will convince the title company to remove. One example is a reimbursement agreement that requires the property owner to pay another if some type of development occurred. But the agreement could have an expiration date that has passed, and the title company will remove this exception. In cases where an easement is no longer being used, a quitclaim deed would need to be signed by the beneficiary of the easement and recorded. Sometimes it is easy to track down the easement user and get their signature, but in other cases the user is a defunct entity or a deceased individual. The same goes for land use restrictions, where you would need some party to sign a quitclaim deed to remove. In many cases, some exceptions cannot be removed but you will find they are insignificant to your development. As a general rule, a developer or homebuilder will review these title exceptions, but also engage an attorney to assist with the cleaning up of title exceptions. Please share your comments, questions, or experience with this topic below.